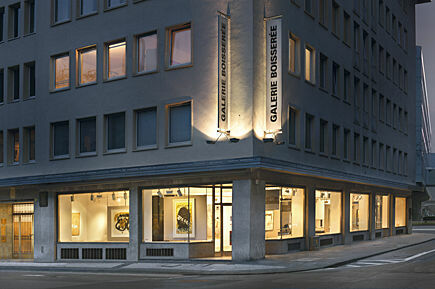 Galerie Boisserée was founded in Cologne in 1838. 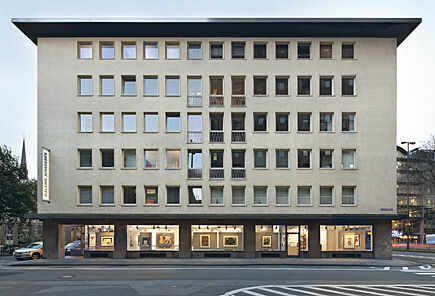 Today, it presents international modern and contemporary art on two floors of showrooms. The gallery specialises in works on paper and international prints. 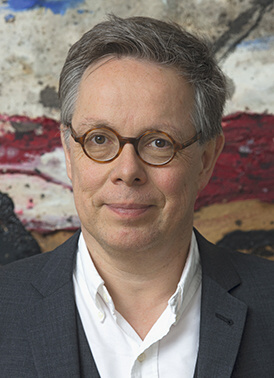 Boisserée is one of the leading international dealers and is a member of the ifpda (International Fine Print Dealers Association) and the BVDG (Bundesverband Deutscher Galerien und Kunsthändler e.V.). Artists such as Max Ackermann, Josef Albers, Georg Baselitz, Louise Bourgeois, Georges Braque, Marc Chagall, Eduardo Chillida, Christo, Karl Fred Dahmen, Peter Doig, Max Ernst, Sam Francis, Hans Hartung, David Hockney, Robert Indiana, Donald Judd, Fernand Léger, Sol LeWitt, Roy Lichtenstein, Robert Longo, Henri Matisse, Joan Miró, Robert Motherwell, Julian Opie, Pablo Picasso, Serge Poliakoff, Antonio Saura, Emil Schumacher, Sean Scully, Pierre Soulages, Antoni Tàpies and Andy Warhol are constantly represented with over 500 artworks. Visitors to our gallery have the opportunity to view various artworks at their leisure or take them home for viewing in order to get a better impression of them in their own private spaces. Each artwork is carefully checked by us for authenticity and condition before purchase (which we will gladly confirm to the buyer in an accompanying expertise if requested). In addition, all artworks are catalogued in detail and professionally framed. We offer professional advice based on decades of experience in buying and selling works of art. We are also happy to assist you in building up or caring for your own collection. Of course, we also organise the transport (including packaging, insurance and customs formalities if necessary) for all artworks purchased through the gallery. For decades, Galerie Boisserée has combined art dealership with committed gallery activity in the field of contemporary art, representing artists such as Jürgen Brodwolf, Ralph Fleck, Joan Hernández Pijuan, Patrick Hughes, José María Mellado, Jan Voss and Franziskus Wendels. Galerie Boisserée presents up to nine exhibitions of modern and contemporary art each year, often with accompanying catalogues and introductory speeches at the vernissages. A further focus of the gallery`s activities is its regular participation in national and international art fairs such as ART COLOGNE, ART DÜSSELDORF, Cologne Fine Art, the London Original Print Fair, ART PARIS, the ifpda Fine Art Print Fair New York and the Contemporary Art Fair Zurich. On our website, you can register for the "Newsletter" to receive current information and invitations by e-mail. We are always interested in purchasing works by the artists represented in the programme. Johannes Schilling was born in Cologne in 1959. After graduating from secondary school and training as a bookseller and dealer in original prints in Münster, he studied Art History, Archaeology and Sociology at the University of Cologne from 1979 to 1981. He then began working in the gallery, which he took over from his father in 1988 as the sole owner. With the transformation into J. 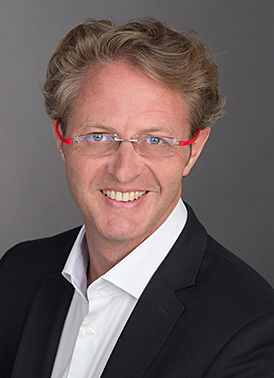 & W. Boisserée GmbH in 1990, Johannes Schilling became Managing Partner. Thomas Weber was born in Bludenz, Austria in 1969. After graduating from secondary school, he began studying Business Administration and Art History at the University of Innsbruck in 1989. He completed his studies in Business Administration in 1994 with the Austrian academic degree of Magister rerum socialium oeconomicarumque. In 1995, he began working at Galerie Boisserée and became Managing Partner in 1998. In the summer semester 2015 and the winter semester 2015/16, he successfully participated in the certificate course "Forum Kunstrecht" (Forum Art Law) at the University of Vienna under the direction of Prof. Dr. Gerte Reichelt (Postgraduate Center, University of Vienna). In 2017, he co-curated the retrospectives in honour of K. F. Dahmen`s 100th birthday at the MKM Museum Küppersmühle für Moderne Kunst, Duisburg and the Leopold-Hoesch-Museum & Papiermuseum, Düren and contributed to the accompanying catalogue "Karl Fred Dahmen  Das Prinzip Landschaft", published by Wienand Verlag, Cologne. 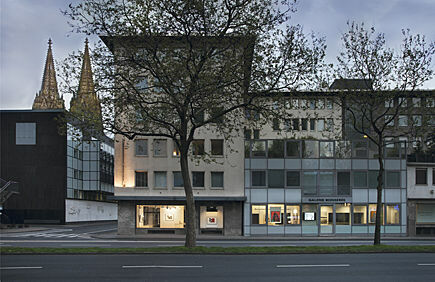 Galerie Boisserée is centrally located in the heart of Cologne and is only a three minutes` walk from the cathedral and the main railway station. If you arrive by car, there are several multi-storey car parks in the immediate vicinity, as well as public parking spaces directly in front of the gallery. With an exhibition space of over 250 m2 and thirteen large display windows, the design of the gallery space is inviting and welcoming. We are also available by appointment outside the regular opening hours. In addition to the spacious showrooms, we also have a "Schaulager", in which numerous additional artworks are readily accessible to interested visitors.